The warrior parent. A much used label for a parent with a special needs child who fights the system until they are bruised and bloodied and then still gets up, spits out a loose tooth and goes in for a second round. Some parents wear this label as a badge of pride, and I completely understand why, they are rightly proud of the brilliant job they have done in advocating for their child. 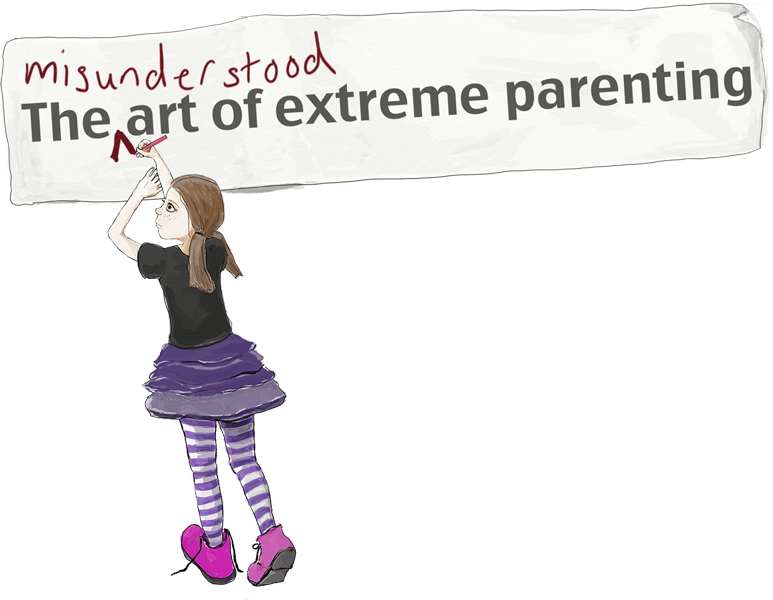 So recently why do I find myself feeling more and more removed from the angry-parent approach to bringing about change? It’s not just that I find some of the card carrying warrior parents just a tiny bit scary. It’s definitely not because I don’t know where they are coming from, after all Dominic has ticked off almost every battle possible to access services and there have been many times when negotiating the system has made me more unhappy than I thought I could bear. I think it’s because I am tired of spending my energy being angry about a broken system, I’d much rather use the resources I have got trying to fix the system instead. I think the starting point is realising that in order to make the right changes for the right reasons, parents of complex children have to find a way to work with the professionals involved. They are after all as much caught up in the system as we are. Negotiating the system is about learning to walk on egg shells, trying to bring about change without triggering the default brick wall that springs up whenever people think you are saying that they are doing anything other than a fabulous job. It may not always work, but when it does the outcomes are only positive for everyone involved. And if nothing else you’ll be able to apply for a job in the UN at some point, between managing three children and the local authority I think I’m more than qualified these days. This is an especially difficult position to advocate in the current climate though. There is a understandable apprehension that is hanging over the special needs community at the moment in the form of the proposed Children and Families Bill. The proposals suggest what would be the biggest shake up to special needs provision for children in 30 years. Being acutely aware of the devastating impact the recent changes to adult provision have caused, I’ve been watching this bill closely, along with many others. I welcome reform, but with no guarantees that we will be able to retain the same provision that Dominic currently has, let alone improve on it, reform might well come at a huge cost to the children it is meant to protect. 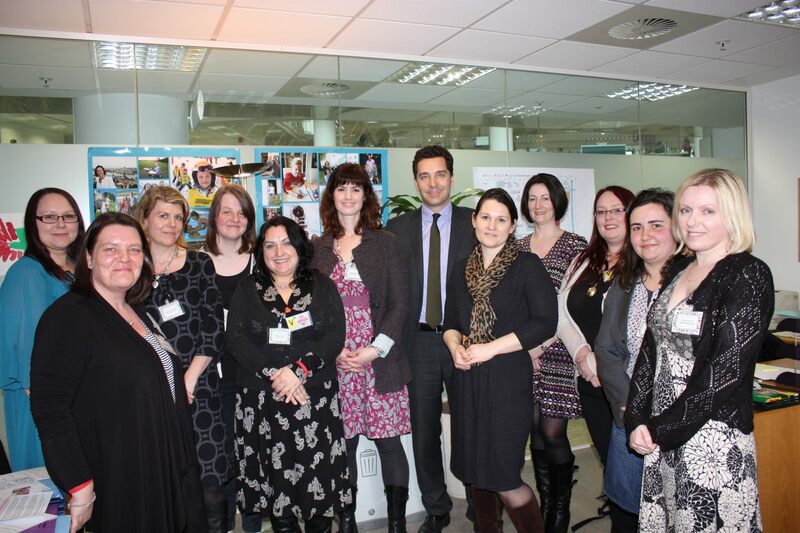 When Tots100 extended an invitation to meet Edward Timpson, minister for Children and Families to discuss the proposed changes, I had the date marked off on the calendar before I’d even finished reading the email. Finally it felt like I had a chance, however small, of trying to actually make a difference. And so that’s how I found myself sat around a very shiny table with other Tots100 bloggers all politely nibbling biscuits in-between comparing battle scars won from fighting the system. As we talked, waiting for the minister to finish his meeting, it became apparent that we were all from largely different positions on the special needs map, which made the stories especially interesting to hear. Having parents coming from different areas of special needs has its advantages and disadvantages though. It’s great to give a rounded overview of people’s experiences, but I have to admit to being worried that with each person bringing their own agenda to the table and with a group of people all equally passionate about the point that they want to get across, it can occasionally be at the cost of someone else’s opportunity to be heard. In truth, I think that if you had put any group of SN parents in that room, given half the opportunity most of them would have be tempted to just swipe the draft of the bill away from Mr Timpson, going through it later after the kids are in bed with the help of a bottle of red wine and some Malteasers. This would of course remove the need for the many consultations the minister is holding as it would be handed back, most probably neatly placed in a presentation wallet, by parents (looking a little worse for wear). Mr Timpson would no doubt find it covered with red felt tip crossings out, writing covering every inch of the margins and little sad faces by less well thought out policies and ‘good work Ed’ by the bits that they thought deserved praise. If the minister is ever fed up with redrafting it once again, the offer is always there to hand it over to us (I even have stickers with a smiley face giving a thumbs up). You see, parents who have lived the system, every day of their child’s life, really do know what works better than anyone could ever know sat in a suit behind a desk looking at statistics and reports and projected outcomes, which is why we are so keen to help- and why we hope that the experience that we had the time to share will be given the consideration it deserves. I guessed that the minister’s aides (who kept a close eye on Mr Timpson while pretending to casually just hang out with us in the way that a group of really self conscious spies might try and blend in with the public by doing their best to act naturally) were there to reduce the risk of placing a group of women (with enough combined disgruntledness to bring a dictator to his knees) in an enclosed space with the minister in charge of the system that had made their lives living hell for so many years. It is probably to his credit therefore that Edward Timpson didn’t, like a zebra sensing a pride of lions, twitch and then dash for cover the second we descended on him. Well to be truthful, upon first seeing us he did dash to the loo, but I think we were sportsman like enough to put it down to back to back meetings rather than bladder weakness brought on by the prospect of facing a roomful of women on a SEN mission. 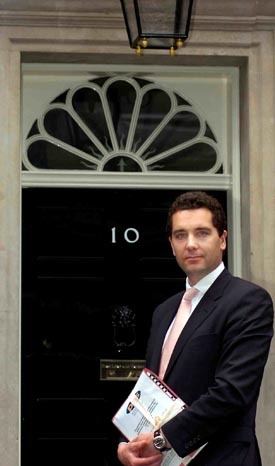 Edward Timpson certainly comes across like a thoroughly nice chap. Perfect mix of youth with experience, sincerity with a sense of humour and sympathetic head nodding at appropriate moments. He obviously also wins points for taking the time to listen to the people that any proposed changes will directly affect. We were each given the opportunity to highlight one area that we wanted to bring to his attention. Some brilliant points were raised, some very personal, some more general. Rather than focus on the individual points however, I would like to instead share the themes that seemed to run through what everyone was saying, as despite our children’s varying needs we seemed in agreement about most of the issues that were important to us. First though I’m assuming that it would be helpful for me to outline how provision currently works and the proposed changes (if not, then of course, feel free to skip). So what is the current provision like? This is calculated, against how many children there are in total in the school. Each mainstream school gets this budget regardless of how many children they actually have on SA and SA+. Those with more complex needs get extra funding, right up to exceptional needs funding which is decided on a case by case basis. Sometimes, with the more complex cases the three different services (education, health and social) are all forced to work together as they each battle it out to prove that the child’s problems fall more under one of the other services, so they shouldn’t be responsible for providing the funding. This is rarely pretty, and in my experience, the process rarely remembers the child at the centre of it all. So this paperwork heavy system is there to support one part of a disabled child’s life, there is also the disabled living allowance, which looks at a child’s social, emotional and physical needs outside the school environment. It is non means tested but it takes sheer grit and determination to plough through the pages of repetitive and depressing questions about everything that your child cannot do. If you manage to get through it without slashing your wrists you may then qualify for a small amount of additional money to help with extra living and/or mobility costs. There seems to be little consistency with awards however and you can imagine the fun they have with a child like Dominic who does not have a diagnosis. The people who process these forms are not medical, so if you have no handy word for them to type into their database, you’ve got problems. That is, very roughly, how the system is set up (do feel free to comment-heckle me if I’ve made any mistakes). It is very rare you find a parent who will tell you that it was entirely painless and that their child’s needs were always the focus of the decision making process. In fact, very often, it is this simple loss of focus on the child which forces the parent into battle mode as bureaucracy, inconsistency and sometimes down right incompetence leave children and parents unsupported and fighting for even basic human rights. It’s a system where, when there is a problem, the parent’s position as the overall expert on their child, is belittled and often ignored, no matter how many times that parent has proven their expertise. It’s a system where your postcode can be the difference between getting help and being ignored and one where the truly dedicated and gifted professionals are also the ones who get ground down trying to compensate for those who are not. All in all, describing it as a sum of all its negatives, it sound like a hellish, broken system that allows children to fail and allows incompetency to thrive. That’s probably because, in many ways, for many families, it is. But what is important is that we don’t lose sight of the fact that it doesn’t have to be, and there are professionals and parents alike who are willing to work tirelessly towards achieving a system that improves outcomes for all children regardless of need. I just hope that the government are sensible enough to use them. So clearly the coalition are right to bring about a change, and I think that most of us parents and professionals welcome it, albeit in a rather suspicious way. My reservation comes from the fact that, having listened to more than one man in a suit describe the disabled as scroungers (well the ones that aren’t busy being the heroes of the paralympics of course) it is hard to trust that the changes are motivated by wanting to genuinely help reform the way disabled children are assessed and treated rather than simply being another smoke screen to cut money and services. I don’t think we have many services left thanks to budgetary ‘restructuring’ anyway, I would hate to see things slip even further. Statutory statements of SEN are to be replaced by EHCP (education, health and care plans). Offering personal budgets to families. LAs having a ‘local offer’ of services which should be available. All sounds pretty reasonable right? I have to say that if you look at the sentiments behind the changes, they seem sound. The issues arise however when you look closely at a lot of the wording that is used and start noticing what isn’t even included. It is an unfortunate fact of the world that if something is ‘suggested’ then it can, and often will, be ignored by a disgruntled paper pusher who will never be held accountable so doesn’t really give a crap. If something ‘must’ be done then relevant people can wag a disappointed finger at the department for not doing what it clearly states they must do in the best interests of the child. I’m not sure it will make a difference, but hey at least someone can try to make them do a proper job. However systems need to be put in place to ensure that the already pervasive postcode lottery system isn’t magnified by the move to the ‘local offer’ provided by LAs. This is one of the parts of the bill that makes me very uneasy. The local authorities are meant to highlight what services should be available to children but don’t seem to be duty bound to actually provide them, so what happens if they don’t, who is held accountable? Also to qualify for the local offer, it seems that only children with a recognised special educational need will qualify. This means that potentially children who have disabilities, but are not considered to have special educational needs could fall between the gaps. You can imagine the difficulties that could arise for children with no diagnosed condition. This is an oversight that makes me question if the government mistakenly think that having a SEN is the same as being disabled… which, for the avoidance of doubt, it isn’t. And so, with these changes in mind, let me share a few of the themes that emerged and how and why I think they are significant. Set the children up to succeed, don’t wait until they have already failed before you notice them. A common theme for a lot of the parents was the time between a problem being identified with their child and intervention occurring. I found the references to how difficult people found the wait for a diagnosis, how everything hinged on that in order for their child to access the help that they needed and for the families to get the support that they needed incredibly significant. 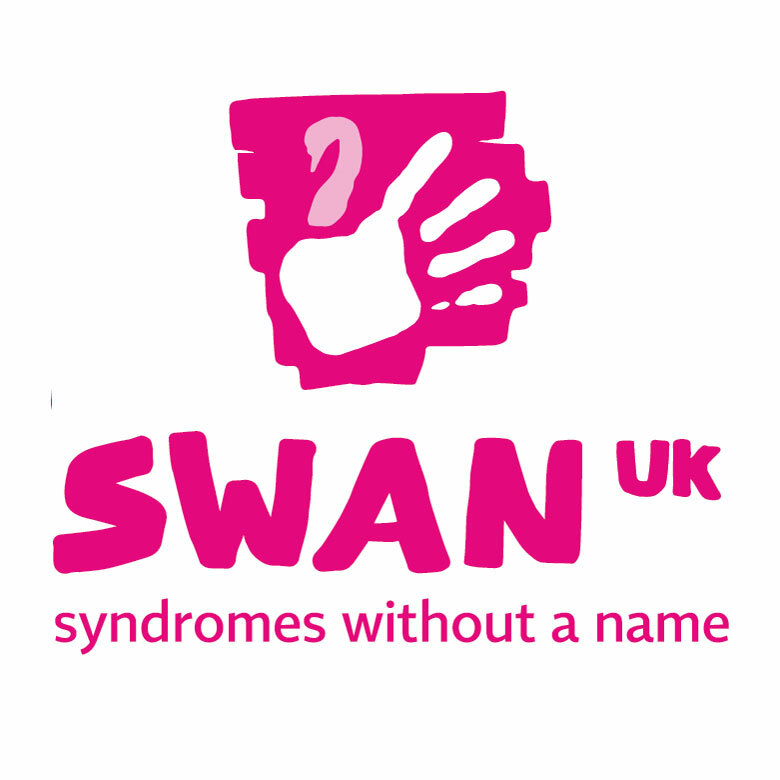 It is of course a reflection of my experiences with getting help for Dominic and I know a concern that is constantly raised by the SWAN UK families (Syndromes Without a Name). The group’s agreement that the period before their child got a diagnosis was the hardest part of the process for families and how their children only started getting support after they were diagnosed just highlights how important it is to get proper legislation in place to stop it being a diagnosis led system rather than one that simply aims to meet a child’s needs. Currently most assessments that parents fill in on behalf of their children ask, as one of the first questions, what the child’s diagnosis is. Not being able to fill this in means that parents often struggle to access basic services. Considering that a lot of these children are amongst the most complex medically and under a multitude of teams and have a truckload of medical notes, the way the system currently works means that often the most vulnerable children are the ones who are dropping through the cracks. There aren’t even any charities, groups, specialist nurses or services to turn to and if it wasn’t for the SWAN UK project these families would be entirely isolated. The same of course can be said for children who are diagnosed with extremely rare disorders. At this point I’d like to extend an invitation to Edward Timpson to meet with myself and representatives of SWAN UK and Genetic Alliance to help find a way to make sure that all children can access the services that they need regardless of their stage of diagnosis. To fail to quickly and effectively meet the needs of children who are not formally diagnosed is putting a large proportion of vulnerable children at a significant disadvantage. This is a potential issue for all children, not just those who continue to remain undiagnosed. For most disabled children there is a period between recognising a problem and identifying the cause. By changing the way professions decide whether or not intervention or extra funding or help is needed should not be based on diagnostic criteria, especially as many diagnoses have a huge variables within them. If the LA saw their role as being one that was there to remove barriers for children who have more complex needs then help could be focused on what is in the interests of the child using the information that is available at the time. While it is always helpful to use information relating to a child’s diagnosis as part of the assessment, it should not prevent intervention from happening if it is not available and it should not be used in place of an assessment of each particular child’s needs . Systems need to be put into place to ensure that children get appropriate help as soon as a need is identified, regardless of how far down the diagnostic path that child is at the time. Early intervention is key to improving outcomes for children and barriers to making that available to families need to be addressed. Let me give you an example of the impact that a delay in intervention could have for a child who has mobility problems. One approach of the LAs is to hold off intervening until it is certain that this child will never be mobile (or reach the current criteria for the wheelchair service to decide that they will not be mobile). 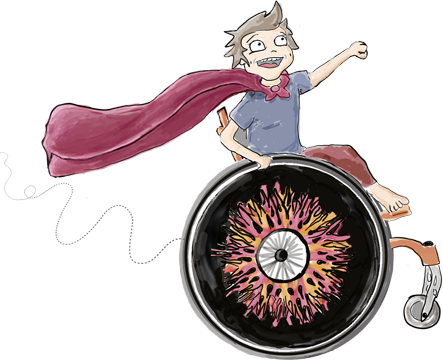 As children start exploring their environments from about 9 months old, and the wheelchair service rarely even sees a child before the age of three (often not providing a wheelchair until the age of 5), that is already years of childhood lost. The ability to interact with other children, to gain independence, to explore and learn from their environment and gain confidence are all denied to these children. It is a well documented fact that dependant children go onto to be adults who continue to be dependant regardless of their capabilities. This of course, over the years, costs the LAs far more than a suitable wheelchair would have done right at the start. And before you scoff, it is never too young to be independent, would you think it was acceptable to tie a child to a stake in the ground so they couldn’t crawl off? Effectively that is what you are doing to a disabled child by creating institutional barriers to their mobility. You’re starting a vicious cycle, as the lack of mobility inhibits cognitive, emotional and social development, which in turn further limits personal independence. Ultimately, this results in severe long term deterioration in a child’s quality of life and gives you a teenager and adult that will cost far more to look after. The early intervention with the right equipment is a win-win for the child and for the LAs. Countless studies have proven this, yet the approach for both mobility and other areas is still to wait until a problem is so much of an issue that it’s already done damage. We are waiting for our children to fail before we help them when we should be using our resources to make sure they don’t ever have to fail to get help. A system of recognising and learning from good practice is as important as making LAs accountable for failing to provide services for which they are responsible. Despite what you may imagine, we did not spend all our time simply bemoaning the system. What was clear was that when good practice was implemented, it made all the difference to the child and family, and no doubt to the other professionals involved as well. But it seems that this is not encouraged in the current system, and should surely be a key focus of the new bill? Open communication, sharing of ideas and practice should be a structured and a well utilised resource for local authorities, schools, Primary Care Trusts (PCTs) services and parents. Without it learning from best practice is impossible and it is much more difficult to improve outcomes for children. Where good practice is clearly identified, this information should be able to be easily and openly disseminated to the surrounding services that could (and should) benefit from it. Having a child in mainstream school but with complex needs has highlighted two very important issues for me that could be tackled by the Children and Families bill. As things stand most children with SEN are in mainstream school (80% I seem to recall), but the schools are ill supported by the very system that is expecting them to help these children succeed. Training for teachers is at best limited, but yet those teachers are meant to be able to assess and meet a child’s needs regardless. They are further limited by a culture that does not encourage staff to be able to say that they know little about how to meet the needs of a complex child, Ofsted just demands that they do. Expert support (beyond an hour long yearly visit from an educational psychologist purely for the purposes of writing a paragraph in a statement review about a child they know barely anything about) has to be in place to encourage open and honest discussion within mainstream schools in order for them to be given the tools to correctly identify the support that they need. This is where information sharing could enhance the local schools’ support network and enable each school to monitor their progress alongside others. This should of course include specialist schools, which at the moment are arguably seen as being completely separate from most mainstream schools, with barely any links in place. It seems like a bridge that should be crossed in order to promote and encourage best practice when it comes to teaching more complex children in the classroom, and also tying specialist schools in more closely with all the schools in their area. Currently each mainstream school muddles their way through as best they can with the facilities that they have. Quite simply, they shouldn’t have to. With the current system, and perhaps our location (as things are always affected by how good your local services are), although Dominic goes to a fantastic school and mainstream education is undoubtedly right for him, we are most definitely disadvantaged by not having access to the same kind of specialist knowledge and information that is found in the teaching and support staff that work in specialist schools. Where a child has specific needs, such as being hearing impaired our being on the autistic spectrum, mainstream schools should be encouraged to make links with specialist schools or mainstream schools in their area (or out of area if necessary) who already have effective educational strategies in place. Relying on infrequent visits from overstretched support workers does not address the issue of giving the teacher and Learning Support Assistants (LSAs) a source of continued support and up to date information on best practice. Children with complex needs should not be disadvantaged for following the national curriculum, and teachers’ should not be expected to be able to adequately assess and meet their needs without adequate and ongoing training and support. After all if we are talking about early intervention being key, then surely it is vital to make sure that our teachers are comfortable and confident with a wide range of needs that they could be catering for in their classroom and feel like they have a source of support and information should they need it. By linking specialist schools with mainstreams and encouraging open communication and proper support the foundations of good practice are being dealt with, as it sparks the beginning of a more proactive approach to integrating SEN children within the mainstream school system. Equally by highlighting and sharing good practice, schools are taking responsibility for improving their own understanding of the range of needs that they might be incorporating into their classrooms and forging good links between the schools in their area. None of these ideas are costly and most are already implemented in the education system in other areas, but all are vital to help create the proactive, inclusive environment we want to see our children welcomed into. This is an achievable, low cost potential solution to a huge problem. Not only would you be improving outcomes for children but you would be encouraging peer to peer education and could improve SEN provision in mainstream schools in the area. I would love to run a pilot scheme to give this a go. If you created measurable outcomes it would give a good indication of whether or not there was any value for staff and pupils alike. Improving the training for all staff (not just teachers) and encouraging ongoing learning and information sharing. Improving quality of teaching and outcomes for children in mainstream schools does not start by pointing the finger at those schools who aren’t doing it correctly, it starts with recognising what schools need in order to deliver inclusive education. Recognising and sharing good practice moves us away from a system that attempts to cover up its failings in place of recognising and addressing them, a practice that often means the role of the parent becomes one of the warrior who feels like their role is to protect their child from a system that doesn’t value them. The general consensus was that no positive change was possible without a culture change to drive it. Schools, services and LAs should all be working towards helping each and every child reach their full potential, and should be motivated and enthusiastic about doing so. I think that both of the first two issues I’ve talked about are part and parcel of this need for a change in attitude towards how we approach children with disabilities and SEN and certainly having reform that gives us a child focused, parent led system that ring fences early intervention and good practice is a great start. Ultimately you need people who care about the outcomes of these changes, who have the foresight to project how cost cutting decisions will negatively affect the child not only in the short term, but in the long term as well. We need a system that is open to learning from and adopting best practice and operates in a transparent way. This part is where I waiver though, and I have to admit that I can’t see how this, realistically could be achieved. Having dealt with the apathy and lack of consideration for a families basic human rights countless times I find it difficult to believe that the government will be able to tackle such an ingrained problem in their LAs, especially when they are so quick to attach negative labels to the disabled themselves. To sum up, let me tell you that about one simple change that, had it existed when Dominic was born, could have changed my entire experience, especially in the early days, when the world of special needs was new and I was scared and utterly lost as I just hit brick walls whenever I tried to get help. Imagine then the difference a trained, independent key worker, assigned as soon as issues were identified, and in place to make sure that Dominic and the rest of the family got support when we needed it as soon as we needed it would have made. Someone who could have guided me through the system letting me know what help was available and to help pre schools and nurseries and schools who had never had a child like Dominic before see him as a positive addition rather than a problem to solve. That one change in the experience I had could have had made all the difference between me feeling isolated and scared and me being able to put appropriate support in place. It would have changed my life. In fact they were the words that I used as we went down in the lift as we were leaving Mr Timpson’s office. I was still reeling from the fact that I found out that this had been a reality for another parent in the group. It came down to such a simple thing when I thought about it, my life would have been immeasurably changed by having someone else advocating for Dominic alongside me. To not have felt alone in an unending battle to get people to see him as the funny, smart gorgeous little boy I see. The little boy who deserves to have the people who are there to help him driven to do the very best that they can to make sure he has as many of the opportunities the other children have as he can. Realising that this other life could have been mine made me feel an immediate and intense grief for the childhood that seemed suddenly stolen from Dominic and his siblings and the precious early memories that will never be mine. Most of what I remember of Dominic’s early years involve heartbreak, disappointment and frustration. I wonder what suit in what office decided that it was acceptable to have a system where one family would be supported and one family would be left to do battle alone. I left Edward Timpson’s office feeling positive though, despite my shock at learning that something so fundamental was already being proven to work in other areas and yet I had just been left to survive, or not… (I’m not sure anyone would have even noticed if I hadn’t managed to claw my way through those early days). On my way out I saw the pictures of three smiling children on Mr Timpson’s window sill. The fact that he was a father seemed significant. It gives me hope that he is able to keep in mind what he would want for his own children, and realise that we want exactly the same for ours. All parents want to ensure that their children, no matter what their individual abilities, are given the tools to reach their full potential. The way that Mr Timpson would simply become another disappointment in a suit for all of the parents that he met last Monday would be if he didn’t remember that the best interests of the children should be underpinning all the decision making surrounding this bill. That we need to change what LAs value when they look at our children. He has a chance to safeguard each child’s right to have the very best expected of them by the adults responsible for their care and has the potential to ensure that they are given the tools to make sure each child can achieve their maximum potential. It’s a huge responsibility and an enormous privilege and I hope he thinks through each decision he makes as though the outcome was going to directly affect his family, and his children to make sure it still seems to be the right decision when the stakes are so high. Mr Timpson, I really hope that this post finds a way onto your computer screen, and that, after you have read what I and the other women you spoke to that day have written, you will go over to the picture of those children and remind yourself that parents of disabled children are no different from any other parents. We don’t expect anything different for our children than any other parents do, and our children don’t deserve anything less than other children do. I expect my children to be valued, to be surrounded by people that want the best for them and to be in an environment that enables them to reach their full potential. I hope that you will continue to learn from the people who are best equipped to make this bill one that truly keeps the best interests of the child as its focus, and thank you for the opportunity to talk to you. Be assured that if you are working towards helping our children achieve everything we know they are capable of and making our families feel like a valuable part of society rather than an inconvenience for the local authorities to deal with, you will have the support of an army of parents and professionals who all want to bring about positive change. Until then we’ll watch and wait and provide help should you decide you need it. Since I published this I have been told by one of Mr Timpson’s aides that he had quoted parts of it directly in a speech he gave about Special Educational Needs Policy Reform. A rough draft of his speech can be seen here . The fact that he read it was amazing, the fact that he quoted it made me believe that one person can make a difference. SpcialNdsJungle thanks so much, that’s a compliment indeed coming from you! RenataBplus3 Aww thanks! Just seen about the April 13th awareness – would love to feature something on that day. SpcialNdsJungle SWAN_UK That would be brilliant… Lauren any thoughts as to what? RenataBplus3 SpcialNdsJungle ooooo I’m sure we can come up with something! What kind of thing do you want? We’ll have a new video ready ..
SWAN_UK SWAN_UK RenataBplus3 Anything you want. Support issues esp- hear you’re getting a Rareconnect community too – FANTASTIC! We are heading into CAMHS territory this year (if we EVER get a frigging appointment) Oh joy! Molls has her counsellor from Vista, Dais has one from Links, Mr N and I have another from Vista (I think it is?) and the Links lady thinks the school should get an Ed Psych along for Dais. We are all starting a CAF for Dais after the hols! And the point is? To try and get a diagnosis. Not that Primary can do much with it, but they are hoping we will have something on paper by the time she starts Secondary. As the child is currently only 7yrs old, that assumed at least three years of appointments and paperwork BEFORE any of these planned government changes? Lovely. Wonderful post Renata that has clearly taken much thought and preparation. So proud of you all. This is clearly and gently written and says it all. I know the feeling of, “If only we’d had this early intervention or that”, a difficult feeling. Know that you are making such a huge difference to others. DownsSideUp Thank you Hayley. It was a pencil-biting struggle to not flitter off in my normal whimsical way.